I once owned a complete set of UK first editions, but they were sold several years ago. I had some letters, too. 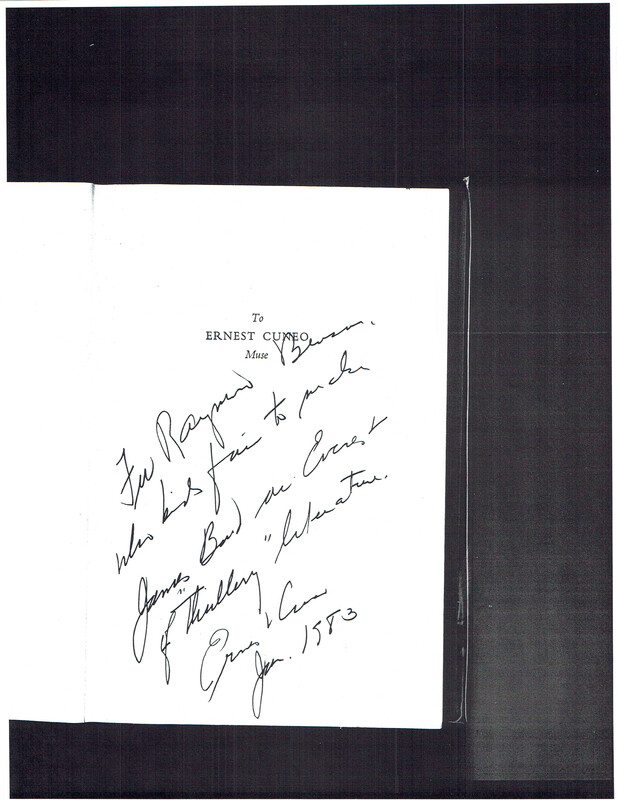 My edition of “Thunderball” was inscribed to me on the dedication page from Ernest Cuneo himself. It was tough to part with them, but at the time I needed the cash! On my 007 literary wish list would probably be another set of UK firsts to replace the one I sold, plus the limited edition OHMSS. I was nine years old when I first read a Fleming book, and it was right after seeing the movie “Goldfinger” on the big screen. I went out and got the movie tie-in paperback, but I also bought “Doctor No,” too, and I read *that* one first. “From Russia, With Love” is probably my favorite, though. My favorite Bond paperback jackets would have to be the old Signet U.S. ones that I grew up with in the 60s; beyond that, I really like Richard Fahey’s covers for the U.S. Penguin editions of 2003. Oh, and I’m rather partial to the Hodder & Stoughton hardcover dust jackets to my own titles, especially “Zero Minus Ten” and “DoubleShot,” both of which were designed by David Scutt.